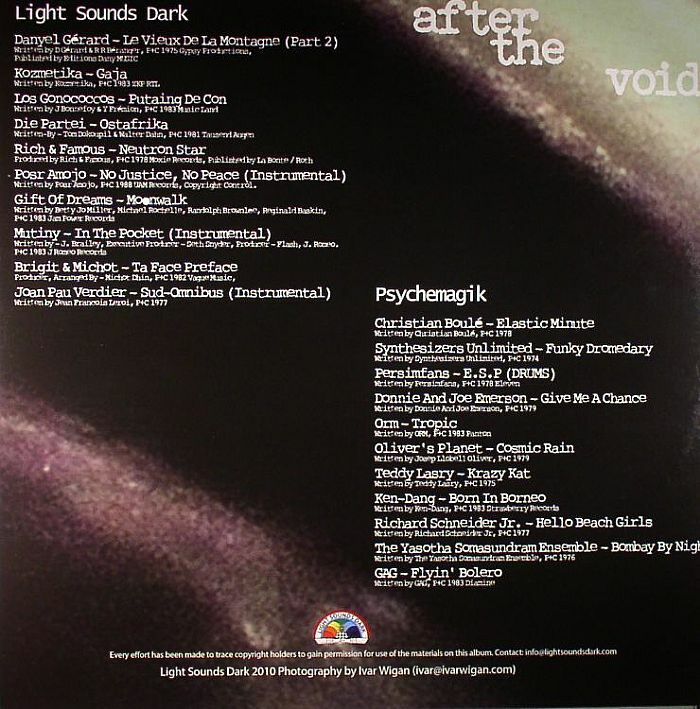 LIGHT SOUNDS DARK/PSYCHEMAGIK/VARIOUS After The Void vinyl at Juno Records. 3. Los Gonococcos - "Putaing De Con"
4. Die Partei - "Ostafrika"
5. Rich & Famous - "Neutron Star"
2. Gift Of Dreams - "Moonwalk"
4. Brigit & Michot - "Ta Face Preface"
1. Christian Boule - "Elastic Minute"
2. 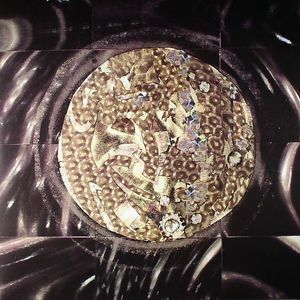 Synthesizers Unlimited - "Funky Dromedary"
4. Donnie & Joe Emerson - "Give Me A Chance"
6. Oliver's Planet - "Cosmic Rain"
1. Teddy Lasry - "Krazy Kat"
2. Ken-Dang - "Born In Borneo"
3. Richard Schneider Jr - "Hello Beach Girls"
4. The Yasotha Somasundram Ensemble - "Bombay By Night"
5. GAG - "Flyin' Bolero"